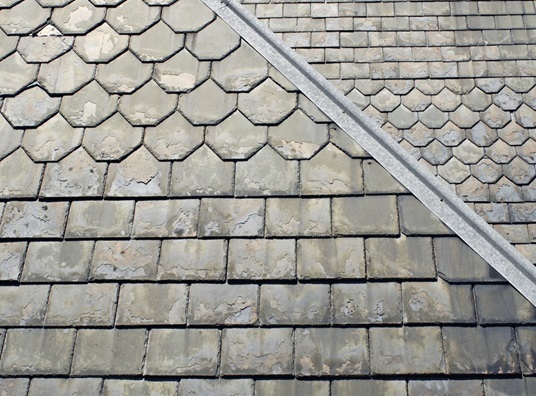 One of the oldest, most popular roofing materials available, slate remains a viable option today. A fine-grained, metamorphic rock, it’s specific qualities have made it a durable and dependable material through the ages. Tedrick’s Roofing looks at the many benefits of this long-standing material to help you decide if it’s a viable option for your roofing. Slate’s longevity is partly due to its composition. It is a mix of quarz and muscovite—two minerals that are hard and tough. Another reason for slate’s staying power is that it doesn’t absorb water too easily. These two properties taken together allow slate roofing in Kent, WA, to remain virtually undamaged for many years. Our slate roofing options come in many great colors. Better still, all these color options are natural. Unlike its painted or artificially rendered counterparts, slate is unlikely to fade. While the color is not consistent, this still adds to the charm of slate. Factor in the longevity of the material and you have a unique look that will last long. Apart from slate’s resistance to water absorption, another factor that contributes to its longevity is that it’s resistant to a whole lot of things, including fire and mold. It also tends to stay flush and steady even against strong winds. That’s why as your reliable roofing contractor in Auburn, we highly recommend slate. At Tedrick’s Roofing, we will make sure that the installation process is done properly and securely. This process adds to the longevity of slate. So, for all your roofing needs, reach out to the company that local residents have trusted for years. Call us today to have access to our expert roofing products and services. We’ll even start you off with a free estimate.